So part 2 of the me series. If you missed the first one, check it out here. In the fall of 2006, I was driving home from a client meeting and out of the corner of my eye the word Quilt whizzed by. A few days prior I was thinking about wanting to learn how to quilt. I had these quilt books from somewhere and I couldn’t make heads or tails of it. I didn’t know how to get started. So I decided to take a class. Originally, I figured I would go to Joann’s and take a quilty class there because I knew Joann’s had classes like that. But when I saw that word, I went back a day or so later and found my LQS. It’s still the same quilt shop I go to when I need something. I signed up for the traditional hand quilting class. At this time, I didn’t have a sewing machine and I didn’t want to buy one. So I learned how to do everything the traditional way. It was fun. I can’t remember how long the classes were but it felt like there were a lot of classes. 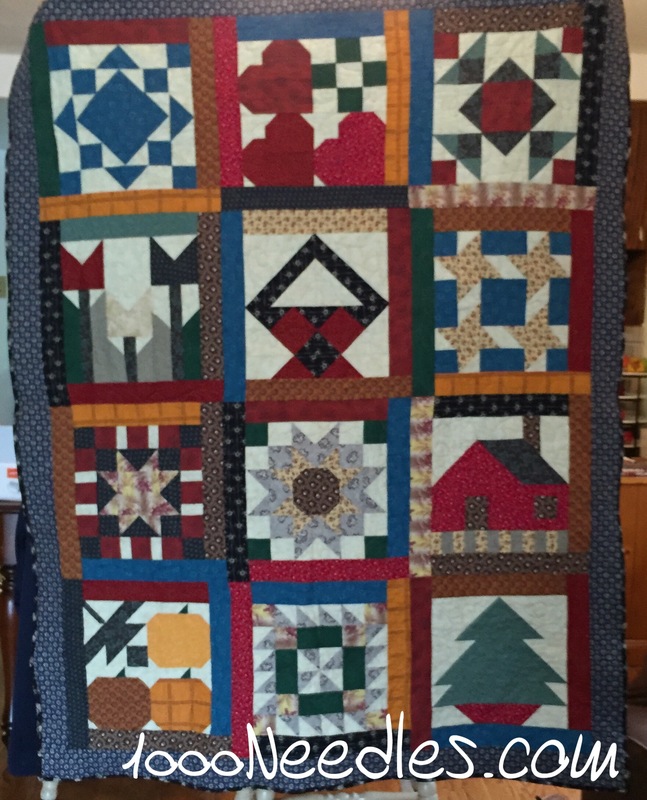 The first set of classes were made up of learning 12 blocks and we would have a quilt top. We cut templates, we marked lines, and we sat and hand pieced everything. I learned to applique and use freezer paper. When that class was over I signed up for the second part and we learned how to hand quilt. 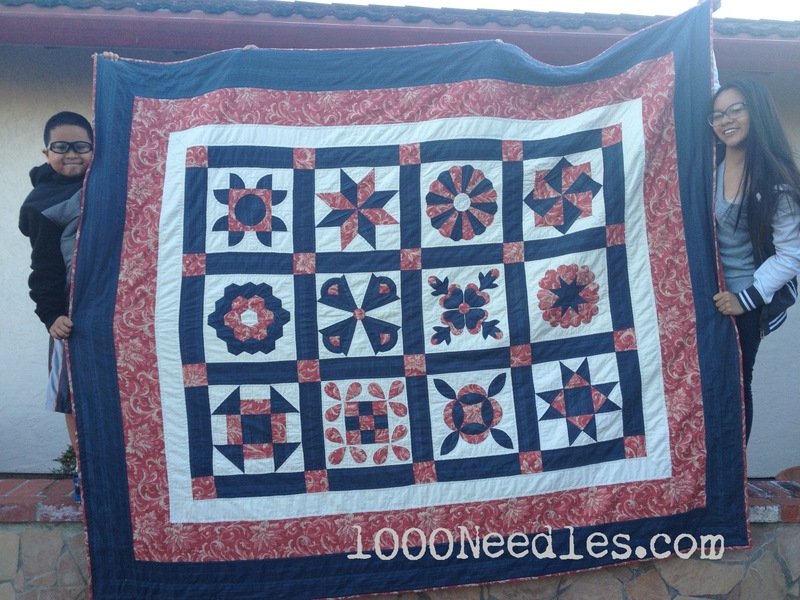 It took me 8 years to finish hand quilting this quilt. You can see more of that story here. While I was hand quilting this quilt, I borrowed my mom’s sewing machine. I wanted to learn how to quilt with a sewing machine. But I didn’t have the money to take the class so I read the quilt books that I had and they actually started making sense. I bought all my fabric from Joann’s because it was affordable and that’s what I could afford. I started my first project, Month by Month. You can read more of that story here. I did a bit here and there but in those days I quilted when I had time which was probably once a month or even less. So things didn’t get done fast. Finally I decided enough was enough and in 2008, decided to take a class again to learn how to machine quilt. I started with my LQS’ “My First Quilt” class and since it was a crib quilt, made it for my baby boy. 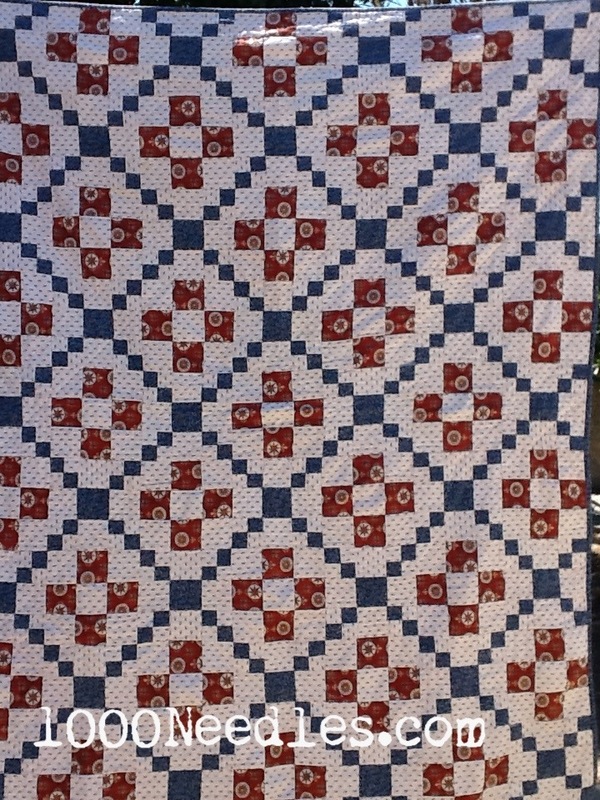 You can’t see it but the blue patches have little stars and moons on it, the neutral has little music notes on it, and the red fabric has compasses on it. I picked the fabric with my baby boy in mind. It was a quick finish but I didn’t get the label on it until 2013. Then after his quilt, in 2009, I took the next class in the series and that was for Kayla. The quilt is Kayla’s Thirties Quilt. The top finished pretty quickly and by this point I’m hooked on quilting. I get to the part where I need to quilt it and I want to try to FMQ. Remember I’m still using my mom’s sewing machine which was a regular $150 Singer machine from Costco. 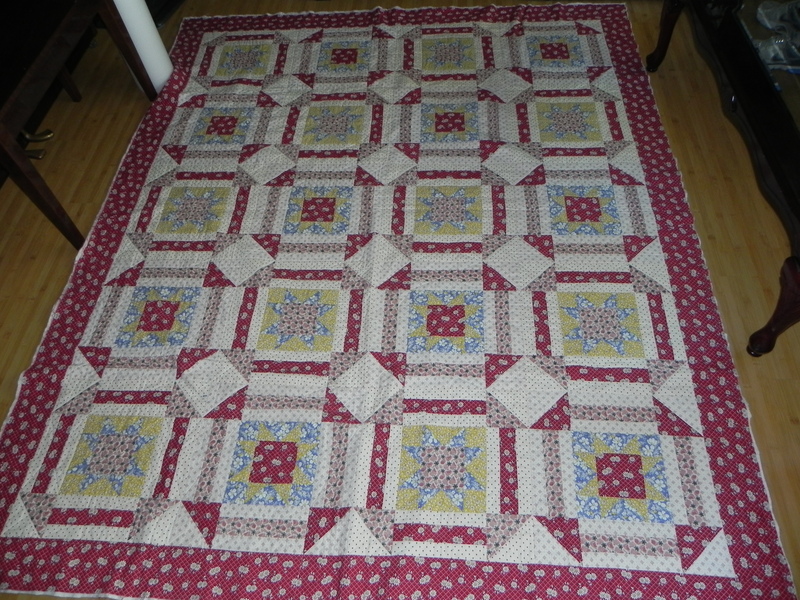 I took the FMQ class offered by my LQS with Sue Rasmussen. I didn’t know who she was at the time. In fact, I don’t think I was doing much online in regards to quilt stuff. Anyway, it was a great class. I learned a lot about thread and needles and my mind was blown away! But the main thing I discovered was that my machine was skipping stitches when I went in certain directions. This was not a machine I could FMQ with. So, I set Kayla’s quilt aside until I figured something out. I didn’t buy my Bernina 330 until August of 2011 so I’m not sure what I did from when I finished Kayla’s top and when I bought the Bernina. I know I was engrossed in my business and was working a lot during that time so I may just not have quilted as much. I know I bought fabric here and there and I probably worked on the Month by Month quilt but I can’t remember doing more than that. I was probably hand quilting. These were difficult times for our family and I was on survival mode. ~ that’s all I have time for now, I’ll have to continue at another time. Yes you have. It’s Quilt Emporium. I took the first traditional hand quilting classes with Linda, the owner. It used to have primarily Civil War Repros. It has changed ownership since then and and Lisa, the new owner, is moving in more modern fabrics and is part of the Valley MQG.